Rainbow Chimes uses a research-based curriculum to help children develop a love of learning that we hope will last them a lifetime. We do this through participatory learning and through play, instead of rote learning that you’ll find in many daycares and school. We also recognize indeed prioritize, social aspects of life and learning. We emphasize kindness every day. We know that having a preschooler in your life can be a challenge, especially when they demonstrate what can be called the “Whim of Steel”, when they insist on something that seems random and illogical,even unsafe, to a grown up mind. We’ve come up with a helpful list of tips for staying positive when dealing with a toddler or preschooler. Validating a child’s emotions is not only healthy but can also help them understand their own emotions. This can, in turn, help them calm down when they are upset. Telling a child things like, “It’s ok to be scared, I get scared too.” Helps them understand the normalcy of being afraid and also teaches the word for that so they can express it in the future. We are all familiar with the concept that some people have learned that any attention is good attention and so they will do bad things if that gives them all the attention they get. To counteract this possibility, catch your child being good and verbally praise them. Tell them you like the way they shared, or that you are proud of them for being able to use their words when they get frustrated. For more about our curriculum click here. 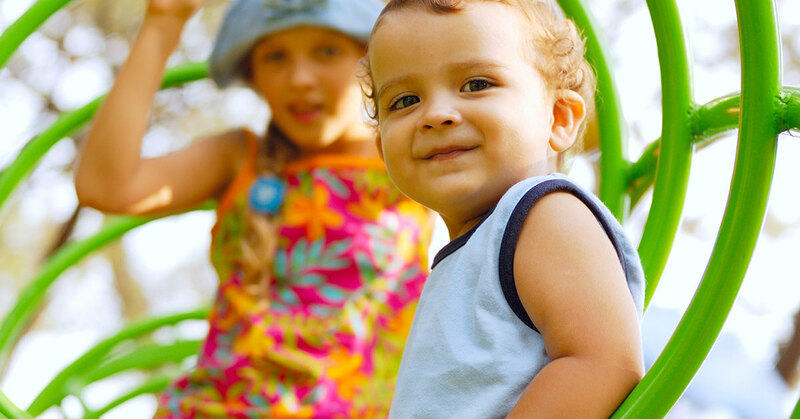 To schedule a tour of our daycare, call our office.